Actually of course for the next few posts it will be things I saw in October before Halloween. I’ve been remiss in posting. Work has been busy, getting photos to airdrop from phone to iPad was not working, and basically I let minor hurdles stop me. But I’ve got a TON of stuff now to go through and a little time. 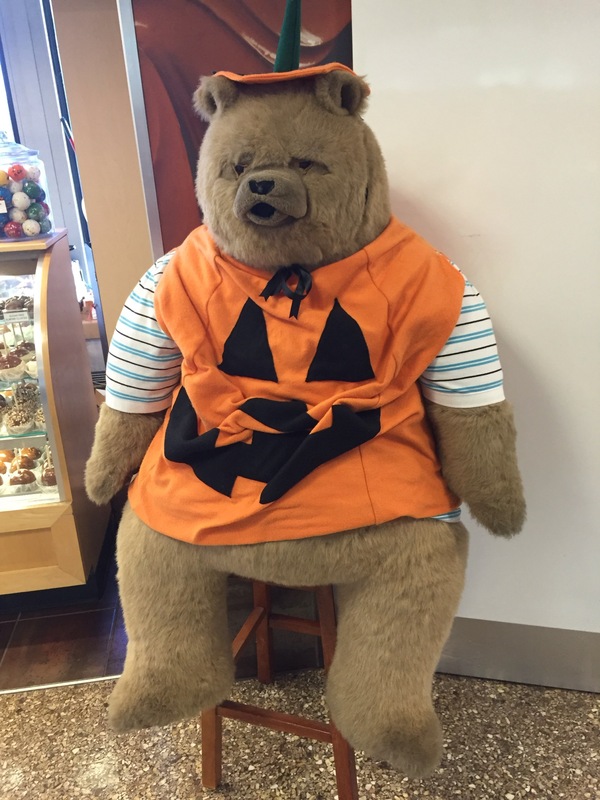 I saw my beary good friend in the Salt Lake City airport again. Last time he was heading on a scuba vacation, but this time he was ready for Halloween!